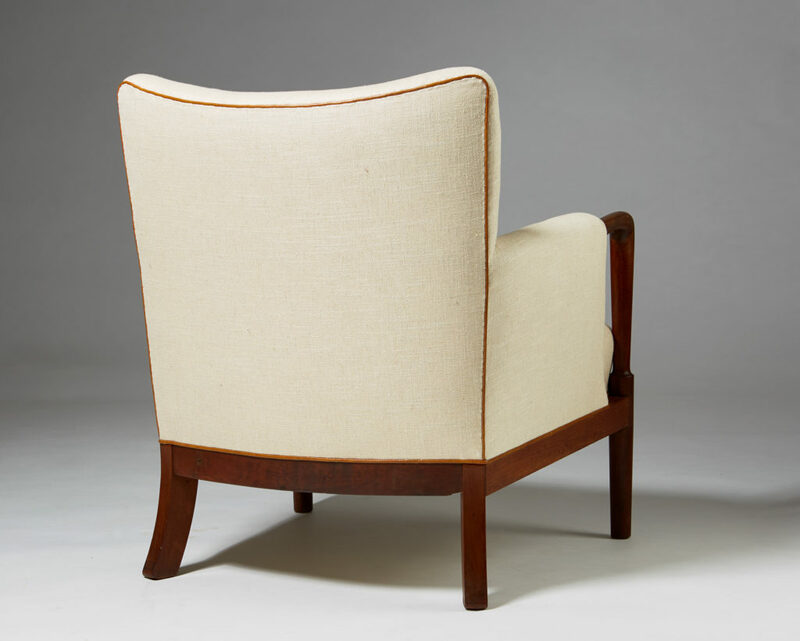 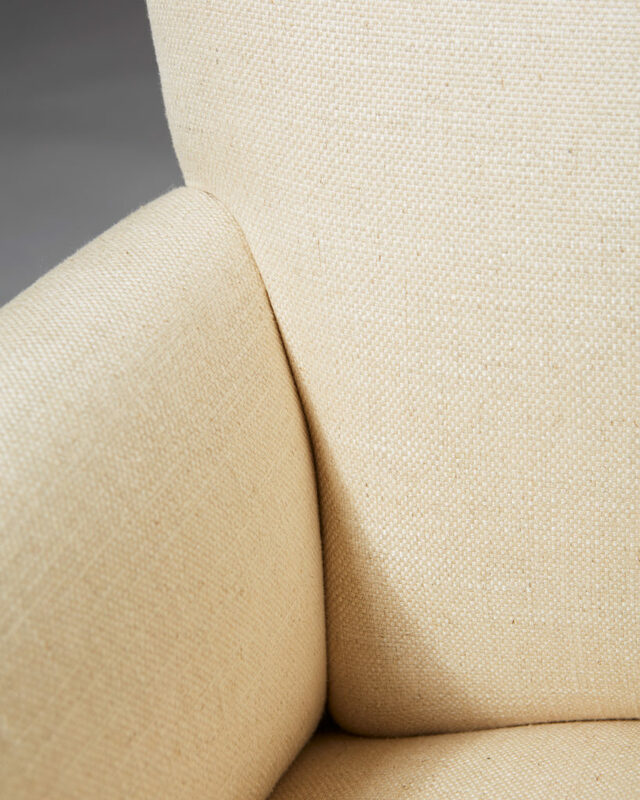 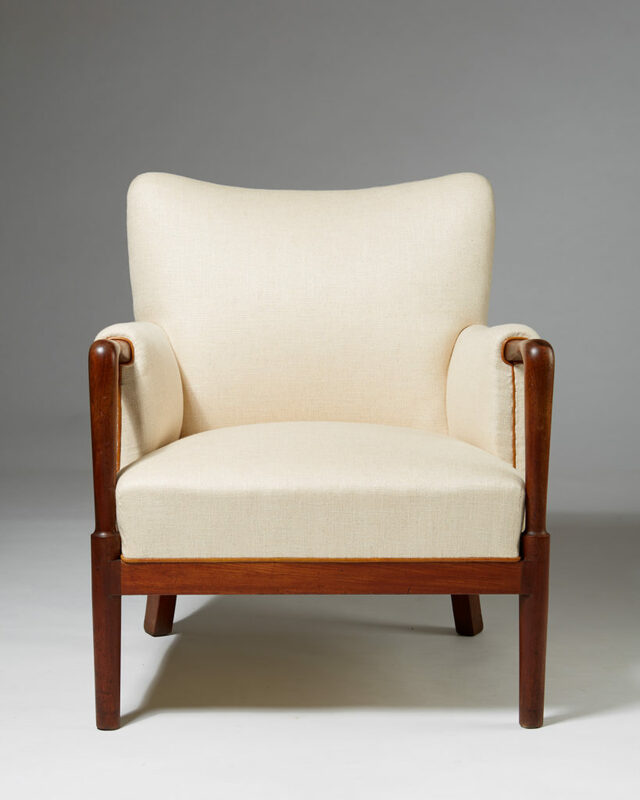 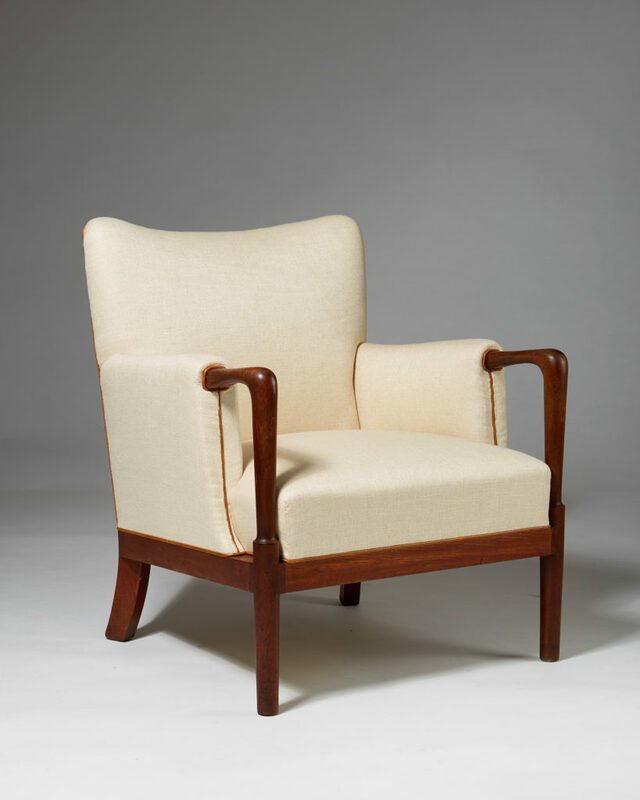 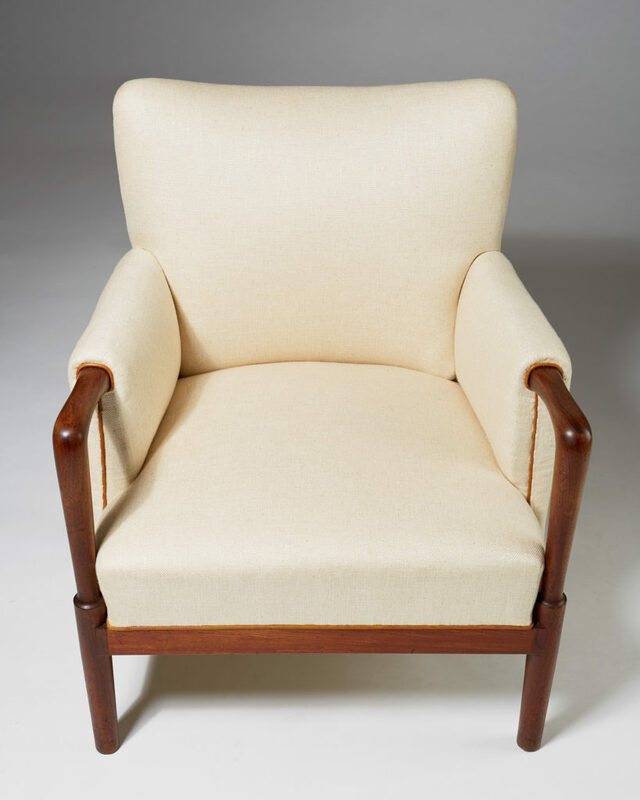 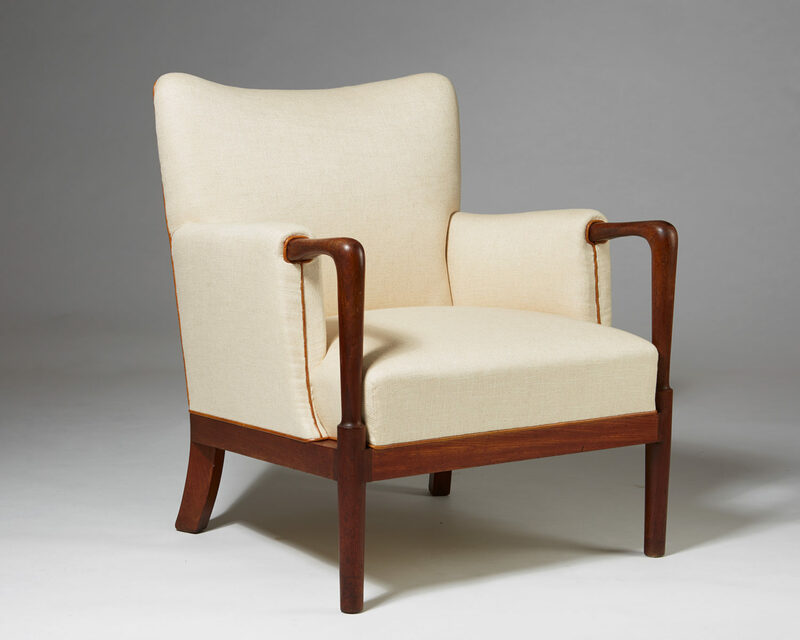 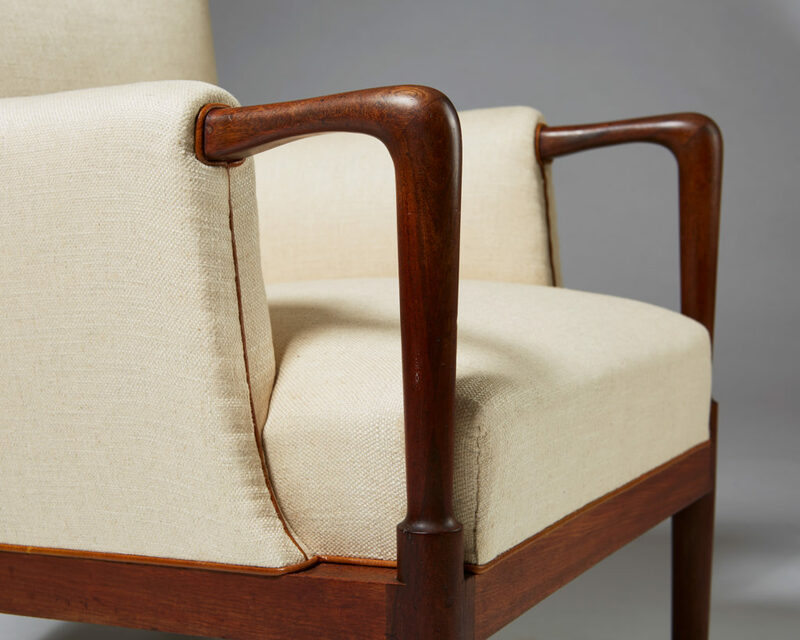 Cuban mahogany frame with linen upholstery and leather piping. 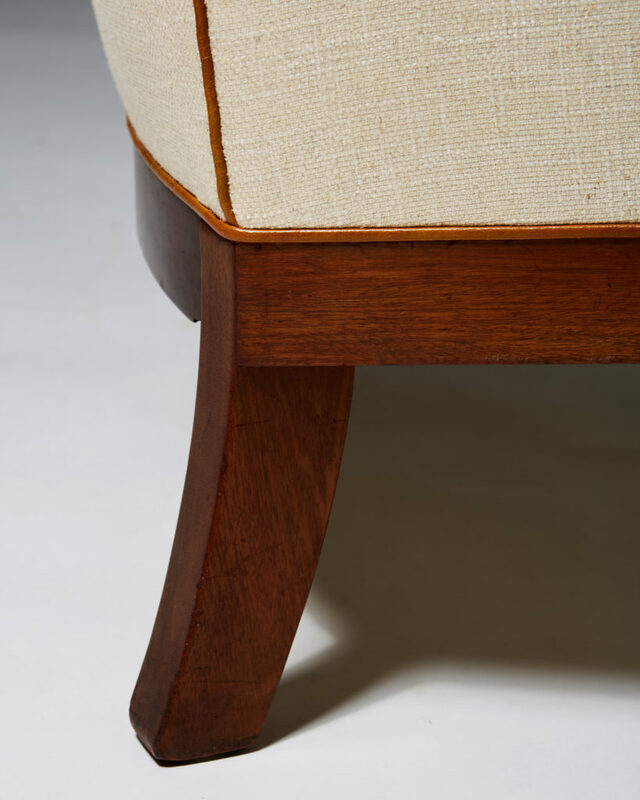 H: 77 cm/ 2' 6 5/16"
W: 67 cm/ 2' 2 3/8"
D: 73 cm/ 2' 4 3/4"
Shown at the cabinetmaker's guild exhibition, Copenhagen, 1936. 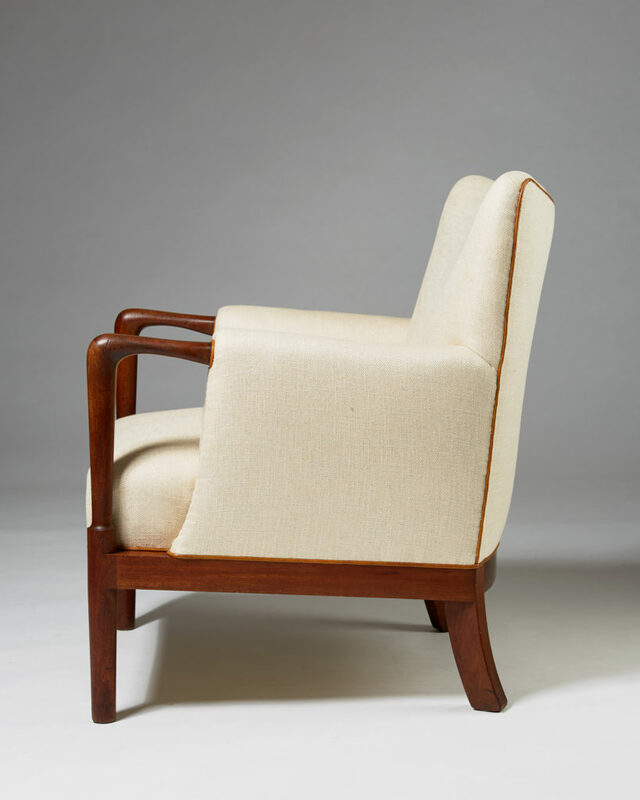 Literature: Grete Jalk, Danish Furniture Design: The Copenhagen Cabinetmakers' Guild Exhibitions 1927-1966, vol. 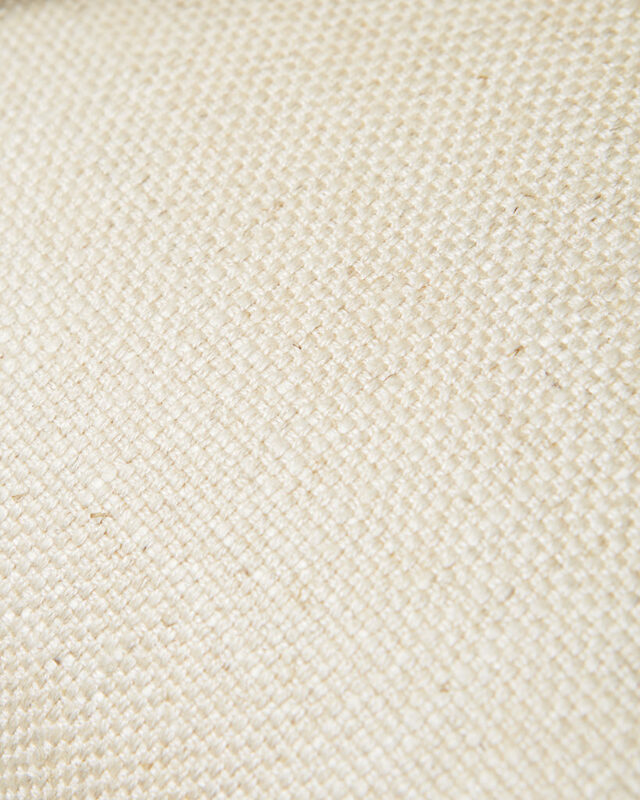 1, p. 249.